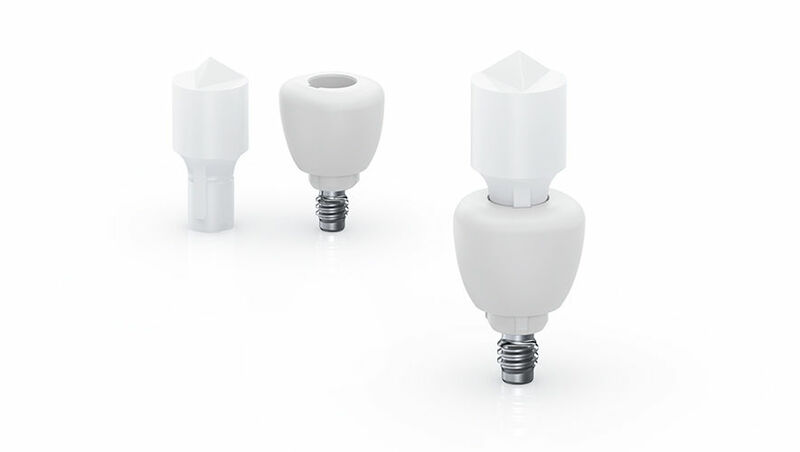 Neoss® Esthetic Healing Abutments offer a complete range of anatomically-shaped PEEK healing abutments with a dedicated ScanPeg, for simplified and accurate single tooth intra-oral scanning. With the no-component-exchange approach the biological seal is maintained and the tissue level is preserved. It makes the treatment less invasive and increases patient comfort. The push-in ScanPeg is used with the healing abutment and replaces the need for a separate scan body for intra-oral scanning. This minimizes the exchange of components, streamlines the scanning process and reduces the number of treatment steps and the overall chair time. A natural soft tissue profile is created during the healing phase. Utilizing the healing abutment while scanning eliminates soft tissue collapse during impression taking. Esthetic Healing Abutments are part of the Esthetiline range and are perfectly matched with Esthetiline stock abutments and Neoss CAD/CAM abutments. The Esthetic Healing Abutments with ScanPeg are available in five different anatomical shapes. Abutments are made in PEEK. Esthetic Healing Abutments with a pre-assembled screw and the ScanPeg are supplied sterile in a blister. The ScanPeg is also available as spare part in a 5-pack and is supplied non-sterile. The ScanPeg can only be disinfected using a water-based disinfectant. All parts are for single use. The push-in design enables a distinct seating and keeps the ScanPeg securely positioned. In addition, there is indicator (a horizontal groove) for confirmation of correct seating depth. Intra-oral scanners listed in the table are compatible and validated for use with the ScanPeg. Comparable with other commonly used intra-oral scan bodies in the market. For indexing, proper seating and other aspects, please see the Instructions for Use for all procedure aspects. Simplified intra-oral scanning as part of a complex case with multiple reconstructions in both jaws.